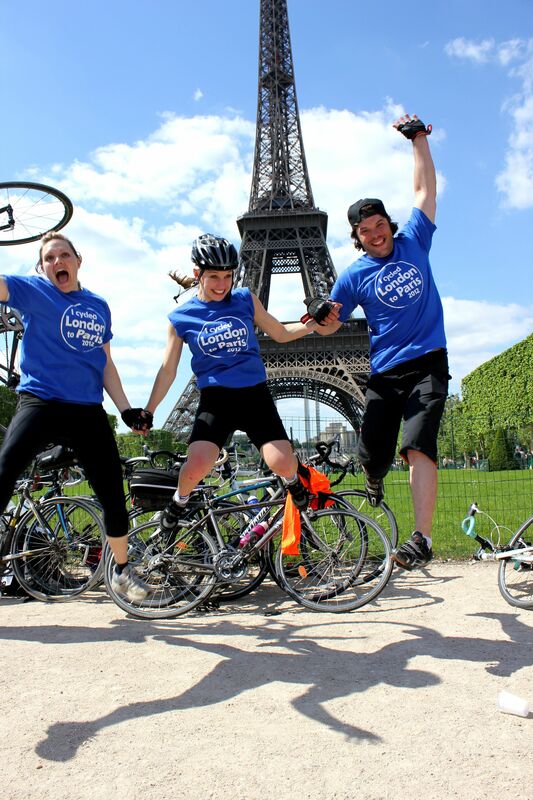 Raise money for Princess Alice Hospice on this incredible cycle connects two of the world’s most chic capital cities! You will make your way through beautiful English villages and into the stunning countryside of rural France, passing historical landmarks and famous battlefields until you reach Paris – which is undoubtedly one of the most magical places on earth – and you will have the opportunity to soak up the Tour de France atmosphere on the Champs Elysees before catching an evening Eurostar back to London! What an experience! The day is yours to soak up the Parisian way of life and explore the city and visit the landmarks only yesterday you were cycling by. 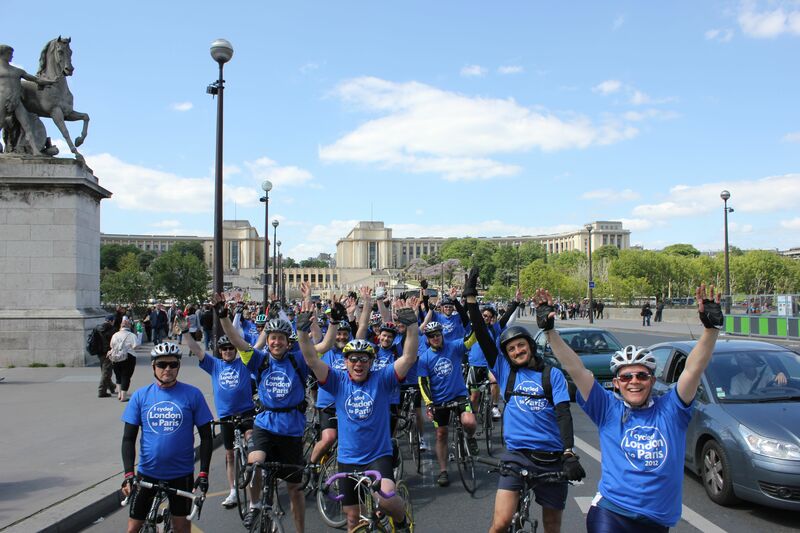 We will meet you in the afternoon at the Gare du Nord to catch the Eurostar home arriving at St Pancras, where you will be reunited with your bike which will have been transported for you overnight. You don’t need to be a fitness fanatic to do this challenge. The majority of people on the trip will be just like you and will not necessarily have done anything like this before. However to get maximum enjoyment from the challenge training is vital and we will provide you with a detailed training plan which we strongly recommend you stick to. We will also be on hand every step of the way to provide training advice. What is the registration amount? Unfortunately, the Eurostar return we book is non-transferable. If you wish to stay longer we would just ask you to make your own arrangements and let us know if you do so in advance. YES! One of our highly experienced tour reps will be on hand to help you in the lead up to the event. You will be sent a full confirmation pack shortly after you register on the event which will give you all the information you need but we are always here to make the event as enjoyable and hassle-free as possible! Lots of familiar European dishes will be on the menu! Breakfast, lunch and dinner will be provided throughout the trip except for 3 meals (dinner on the ferry from Dover to Calais and lunch and dinner on your final day in Paris). We can, of course, cater for vegetarians and other requirements – as long as you let us know in advance! There will be support vehicles with the group at all times which means your luggage will be transported in one of these vehicles for you. You will just need to carry a bum bag for any essentials like a camera and sun tan lotion. The average group size is about 70 people although this does vary considerably from trip to trip. We will be staying in minimum three-star hotels throughout the trip. How does my bike get back from Paris/Amsterdam? 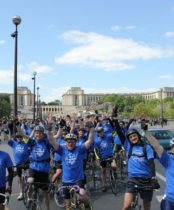 Travel by ferry to France and return travel to London on Eurostar, accommodation, all meals (excluding dinner on the ferry on day 1 and lunch and dinner on day 5), mechanics, guides and medical support. Places are extremely limited and get snapped up quickly so to avoid disappointment Sign Up today and don’t miss out!